Morris Arboretum is a source of renewal and research that benefits our community and our world. Morris Arboretum leads—as the comprehensive source of information on Pennsylvania plants, as a player in the international effort to digitize the documentation of flora worldwide, and as a sensitively maintained oasis reflecting a healthy natural world. The Arboretum is an economic driver and cultural center, with programming that engages children, students, professionals and Greater Philadelphia as a whole. This Campaign will help us to preserve and enhance the Arboretum, widen access to all of our resources, and support the expansion of our research, which will continue to shed light on changes in the environment. Tend our own garden and increase public access, with attention to the historic preservation of Arboretum features, maintenance of our living collection and enhancement of visitor amenities. 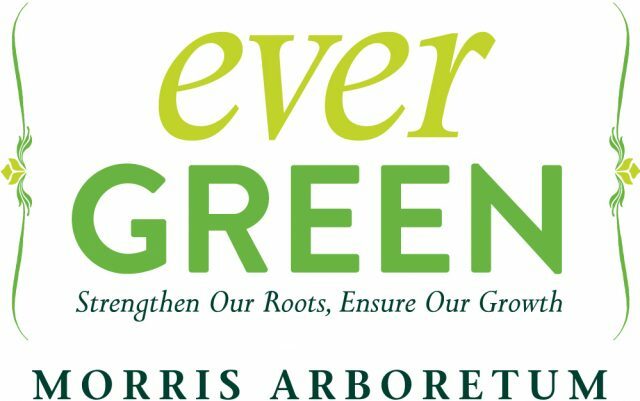 Focus on outreach and education, with an increased concentration on outreach efforts to underserved children, expanded educational offerings for people of all ages and backgrounds, and the creation of a named endowment for the Arboretum’s Director of Education and Visitor Experience. Move research forward, with endowment funds that support professional scientific study of plants and training, ongoing digitization and dissemination of the Arboretum’s vast research resources, and a reinvigorated commitment to understanding and communicating the impact of environmental changes on our world.